Looking for alternatives to Canvas? Tons of people want Learning Management System (LMS) software. What's difficult is finding out whether or not the software you choose is right for you. "very flexible in accommodating varied needs, but counter intuitive and old-school: It is very flexible in letting you create your course structure and grading system. It allows you to set automated dates of deploying/concluding the course or you can go with the normal semester dates and forget about it. The concluded courses can be saved to the corporate drive or can be exported to your own archive. When you post announcements, it deploys instantaneously online and via email, and you can include a link to files that might pertain to the announcement." "Best Online Classroom: Google classroom is one of the best tool for taking text and share document to multiple student using internet.It provide classroom calendar facility in which we can set event which is only for classroom member as reminder. User can see their work in this classroom or Make class room folder in which they can upload some document for specific subject. Teacher can upload their photo and generate code for joining classroom, they can also scheduled the test so when time comes it provide notification to all member of classroom. " "An excellent quick-start in the LMS world: Our company needed to quickly implement specific trainings for our growing portfolio of customers. TalentLMS immediately established itself by its ease of use, both for administrators and students. TalentLMS allowed us to deliver new and customised trainings in a record time, at the great satisfaction of our clients." "A good LMS tool for web based learning: Moodle has a good user friendly interface that allows users to navigate to their area of interest without much difficulty. Their documentation was detailed enough for our implementation of the product. We liked the mobile app feature of Moodle which allows us to interact with students easily without having to resort to emailing. " "An LMS that puts your content, students, assessments, and even third party apps. : Our district uses Schoology as a district wide Learning Management System (LMS). We switched to Schoology last year and I use Schoology for almost all of my course work. I teach using the flipped classroom model and Schoology's platform allows me to share my lecture videos, conduct assessments of student knowledge and understanding, to give assignments, and to provide communication with students and parents. All of my content is available to my students through Schoology 24/7, I can make it available in a variety of ways, and I can make updates in real time. 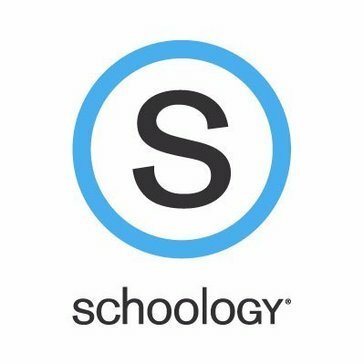 Schoology's introduction of the Google Assignment App has me excited about our switch to Chromebooks. This app allows you to attach a Google Doc (say a study guide) as part of an assignment. When students open the assignment the document is copied, renamed, and added to their Google Drive. No more students opening or copying a new version of the document each time they go back to the assignment instead of to the copy they made but didn't actually rename like the directions stated. The document is 'tied' to the assignment and updates no matter where they work on it from (inside the assignment or through their Google Drive.) I also use the platform’s completion rules to give students autonomy while also keeping them on track. " "Motivate, study, integrate and develop your potential: This software is perfectly adapted to the accelerated learning environment that I want to share with all my students. I used the software for quite some time and made dynamic interactions for all my students of different levels of learning styles. I like the idea of ​​being able to provide all the learning materials that my students need wherever they are and at their own convenience. Edmodo is software that all teachers should try to experience the benefits of teaching easily with just touching the tip of the finger. As an educator, this software makes a great revolution in how learning should be. This software offers comfort, flexibility and precision. In general, the characteristics that I like most about this software are that I can access the performance of each student and I can give immediate evaluations and comments." "Great Features for Interaction, but....: I like the aspects that are geared to allow for interaction in feedback, announcements, etc. For example, being able to leave a video or audio comment, insert links, pictures and more. I truly believe this helps engage the students and allows for a broad variety of input that are absent in other platforms." 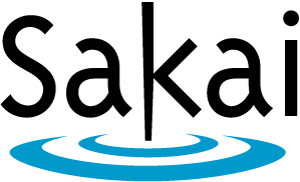 "Great java-based community-managed open source LMS : Our users are very happy with Sakai. 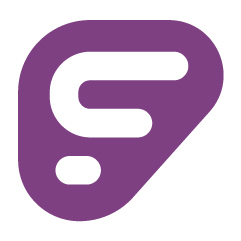 Their evolution the last years has been awesome, specially the UX/UI improvements in Sakai 11 with the responsive design and the Lessons tool new features. I am not a real developer, but when I have done a development (a patch for a bug, a small feature...) the community has helped me, reviewing the code and guiding me to follow the best practices. And my code has been finally merged into the repository, becoming part of the product and being available for others. I think this is not possible in other open-source LMS, and of course neither in the propietary alternatives." "Positive Experience with Latitude Learning: It is a complete LMS and has a lot of features. There are also a lot of customization options to suit your needs. It is particular good for compliance training as there are tracking features. The reporting features are also good and complete." Edsby is a modern, cloud-based learning management system (LMS) for K-12 school districts that uses latest web and mobile technologies to connect teachers, students and parents in exciting new ways. It incorporates social learning, school news, group collaboration, assessment management, timetables and calendars, course planning, report cards, attendance and more. "Accessibility With Edbsy: Edsby is a wonderful student information management system that continues to remain accessible to teachers, students, and parents alike. As a teacher, Edsby helps to maintain continuous access to current grades, feedback, general announcements, and file sharing so that everyday things such as PDFs, word documents, and videos can be uploaded to enhance student learning. It also facilitates confidential communication between the teacher with students and parents so that any missing work, concerns, requests for conferences, and anything else that may be necessary can be communicated in a timely manner. Overall, Edsby is an extremely helpful student information system that cuts down on paperwork while enhancing communication and feedback." "Great tools for any education. : It is the better way of making a present online teaching and learning practice. Also, I like that its perfect for both of sides. The learners and educators can use it on every device from phone to desktop with no having to set up an app. It is great that I have the ability to different training options to contain various learning manner." "Great for communicating with the class: There are a lot of features that I love of Zoho Wiki. A few of them are: I absolutely love the live chat option which makes classroom management very easy especially during exams when students are going through your wiki for review notes and want to communicate about some doubts. I also love how easy it is to tag specific users and get notified about your progress, people who viewed your wiki, and customizing your wiki using different templates. 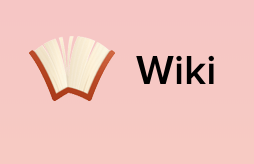 It is also easy to add multiple users to the wiki and collaborate on Research projects, meetings, webminars etc. " Thought Industries provides learning delivery and monetization tools through a customizable white-label platform. From creating online courses to managing an online learning business, the platform hosts a library of features that enable organizations to get to market quickly and cost-effectively. "A top-notch learning platform with all the bells and whistles! : Thought Industries is constantly looking to improve their platform and their unparalleled customer service team replies promptly and professionally. I really like how many options there are for customizing the learning experience for the student/user, with each page type having its own unique look and interactive functions. The downloadable resources can be rolled up into the classes seamlessly and in a number of creative ways. The myriad options built-in to the platform allow you to package educational content in a fun but focused manner and really dial-in how you would like the student to digest the content. Plus, the fun quizzes help keep people honest! :-) "
"Frontline Professional Growth - Stable and Handy: I like that I am able to view my current records (as a teacher) as well as my previous years' evaluation results. I like that I am able to upload and present confidential information to the system and not only submit my work but notify my supervisor that my work has been submitted." Showbie provides all the essentials for classroom engagement including assignment, feedback, and communication into one platform. "If you use iPads/computers in your classroom, then why aren't you using Showbie? : -The online version and the app are basically identical, so students don't have any trouble switching back and forth. This makes it easy for students to complete smaller tasks at home, even without a tablet. -Evaluate student work right in the app (online or device) for instant feedback, and you can even assign a grade. -Use the assignment folders to easily organize your classroom work into "project" or "unit" folders. -The Shared Folder inside each assignment folder is a fantastic way to send files to all students at once (PDF, .mov, .jpg, etc.). -Parents are able to access students' accounts, and with the way the folders are organized, Showbie can be used as a "portfolio" to demonstrate student learning." 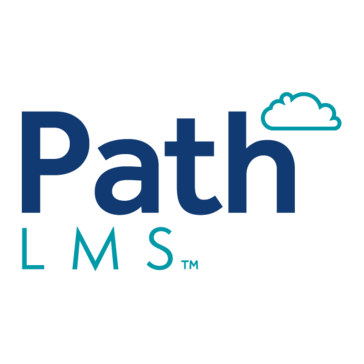 Path is a cloud-based approach to educational content management and designed specifically for lecture-based learning applications. Optimized to deliver media content from educational events, Path allows you to manage all of your content, such as conference recordings, recorded lectures from live and virtual meetings, as well as traditional e-learning presentations, in an easy-to-use, rapidly deployed, digital library that enhances learning for worldwide audiences. "Best Online Education Solution in the Association Space: BlueSky eLearn's Path LMS has an intuitive and clean interface that provides a fantastic user experience for both customers and administrators. The platform is flexible enough to offer eLearning programs of various complexities, which is invaluable for associations challenged with keeping up with the eLearning world and member's demands. The eCommerce/shopping cart is one of my favorite features because it makes the purchasing process so simple and straightforward...just as it should be. I can set up promo and discount codes on-the-fly (even from my smartphone!) to provide excellent customer service in a timely manner. Having implemented Path at two associations now (one with 20,000 members and one with 6,000 members), I can say that the BlueSky team is responsive and knowledgeable in regards to integrating their open API with various systems, and patient when it comes to helping their clients trouble-shoot. New features and improvements are introduced regularly, so you know they are also listening to their client's needs." PlayerLync is a modern learning software that integrates mobility, digital forms, content distribution, and daily performance management into a single solution that helps operational teams deliver exceptional customer experiences. "Great System: It can do just about everything, from Videos to PDF to real e-learning tracking. Add on "Forms" to replace paper checklists... It truly is a complete training system; almost a complete management system. " 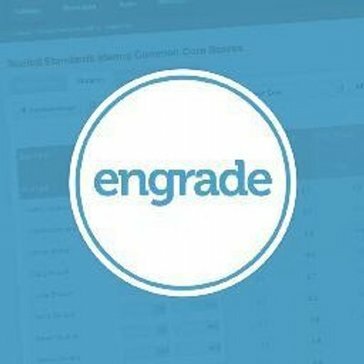 "Engrade Review: Engrade has a good way of setting up different grading systems and scales. It also has an excellent UI and a great design. It does have an interesting rubric system that can be implemented within your grading scheme. " 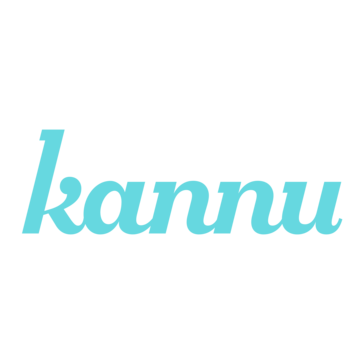 Kannu is designed by educators, for educators, bringing the online learning experience alive with a strong focus on user interaction and pedagogical flexibility. Building a course is easy, and keeping track of coursework and communication is even easier. "Kannu for Art and Design Classes: The overall modular approach lets many different instructors approach setting up classes differently. It's great for structuring your core classes to be consistently organized every semester. The system and software is easy to use for the instructors to setup with varying levels of tech experience. The students also like the organization and consolidated resources." NEO is a simple, powerful, cloud-hosted LMS for use by individual teachers, schools, districts, and universities. "Very easy tools which you can use in a simple way. : I really do like that program as it is the great learning control system for managing all audience performance. I can concentrate on supply a great learning experience just as combine all the significant tools schools need to support useful teaching and learning." Hi there! Would you like help finding solutions similar to Canvas?